With brisk wintry winds outside, a winter warmer can be the perfect recipe for a fun warm night in. A little alcohol is an easy way to spice up any treat and warm you up. 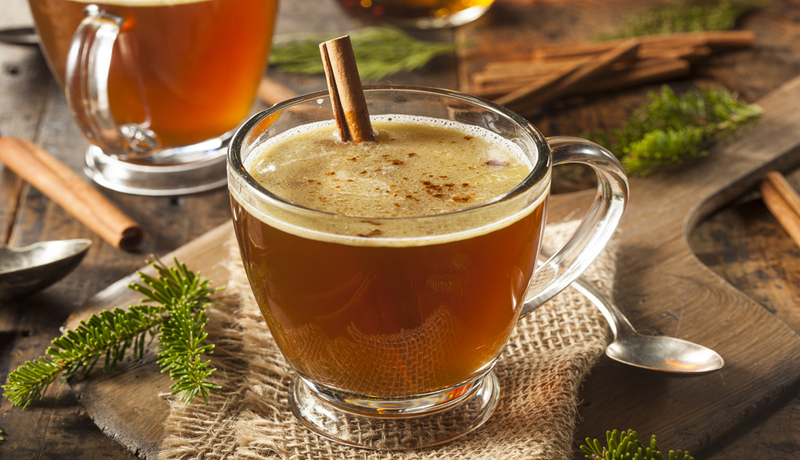 Sip and savor a steaming mug on National Hot Buttered Rum Day with the recipes below. 1) First, mix the butter, sugar, and spices in the bottom of a mug. 2) Add the rum to your mixture. 3) Pour hot water on top. Make sure your water is hot, not boiling. 1) Mash the spices in a separate container. (Use two heapings of the batter for each drink. If you have leftovers, you can refrigerate the batter for later use. 4) Top with whipped cream and a sprinkle of cinnamon. 1) Cream together the sugar, butter, and cinnamon. 2) Slowly mix in the cocoa. 3) Add 2-3 tablespoons of the mix to a glass. 4) Add the rum and hot water, mix. Top with mini marshmallows. 1) Beat the butter, brown sugar, orange zest, vanilla, spices, and salt together until fluffy. 2) Separate the batter into four mugs. 3) Add a quarter of the rum and hot water to each glass and mix. 4) Add cinnamon sticks as a garnish. Hope these recipes provide a welcome treat this winter. Happy National Hot Buttered Rum Day!